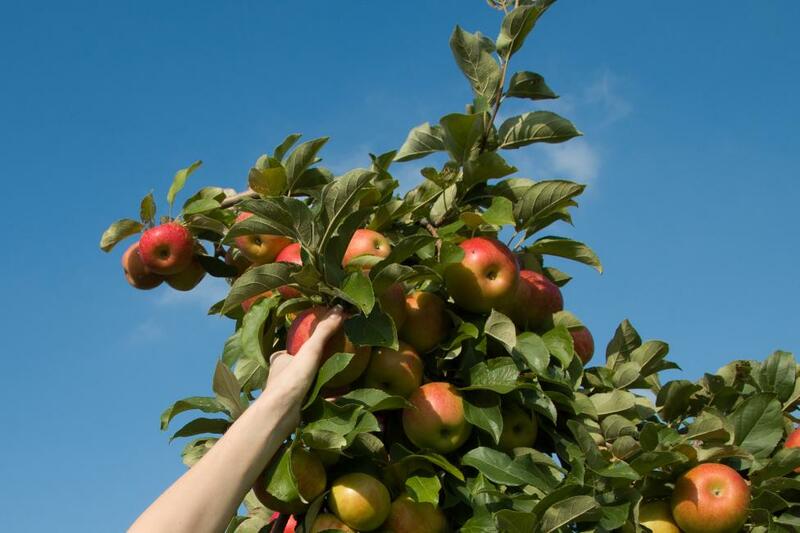 There&apos;s no food that welcomes feeling of fall like freshly picked apples. In Lehigh Valley, you&apos;ll find a number of locations offering locally-grown varieties, both in pre-picked and pick-your-own options. Before you head to the grocery store to stock up, consider paying a visit to one of these local pick-your-own farms, each offering the chance to head out to the fields and stock up on fall&apos;s sweetest treat. Please contact the farms directly for weather conditions and up-to-date availability. No one celebrates the season quite as good as Grim&apos;s Fall Festival! Hop on a hayride to make your way to the orchard for apple picking, or opt for the perfect pumpkin in their spacious patch. Families will love additional activities including a corn maze, apple launching, and more. Pre-picked apples are also available at their roadside market, as well as their famous apple cider slushies. Yum! Just a short drive north from Allentown, you&apos;ll find Strawberry Acres. Set amongst rolling hills, this farm offers a wide variety of pick-your-own fruits throughout the season including strawberries, peaches, cherries, and pears. You can make your way out into the field to pick your own fruit fresh from the trees, or select from pre-picked assortments in the market. Be sure to pick up some tasty apple cider before you head home! And while you can&apos;t pick your own at the following locations, we always recommend supporting local farm stands. Produce from these local orchards can often be found in area grocery stores. Ready for even more fall fun? Check out more things to see to & this autumn here.